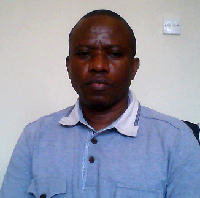 Dr. Joseph Nyingi Kamau is a senior scientist and the Assistant Director (Oceanography and Hydrography) at the Kenya Marine Fisheries Research Institute, Mombasa, Kenya. He is a biogeochemist with a focus on providing research information to assist managers to regulate and manage the environment effectively. His research interest is in establishing the fate and pathway of pollutants in the environment. He is part of a consortium headed by Addis Ababa University under the Eastern and Southern Africa Higher Education Centers of Excellence Project (ACE II). The main objective of ACE II is to establish and strengthen specialization and collaboration among a network of higher education institutions that will be designated as African Centers of Excellence (ACEs) in the Eastern and Southern Africa region to deliver relevant and quality education and applied research to address key development challenges facing the region. He is the principle Investigator (Kenya component) of a regional project funded by the Global Challenges Research Fund (GCRF). The project is entitled "Sustainable Oceans, Livelihoods and food Security Through Increased Capacity in Ecosystem research in the Western Indian Ocean (SOLSTICE-WIO). He reviews projects for NRF South Africa and is a College member of UKRI International Development Peer Review College. Biogeochemistry: Determining the fate and pathway of pollutants as well as nutrient cycling Microplastics: Determine distribution, characterize and assess toxicity risk Antifouling agents: Development of antifouling paints from marine natural products. Disinfectant by-products (DBP): Assess the situation in Kenya's water treatment plants; characterize the DBP and natural organic matter (NOM) composition in the water treatment plants. Assess cancer risk. Philiswa N. Nomngongoa, J. Catherine Ngilaa, Joseph N. Kamaua, Titus A.M. Msagatia, Ljiljana Marjanovicb, Brenda Moodleyc 2013. Pre-concentration of trace elements in short chain alcohols using different commercial cation exchange resins prior to inductively coupled plasma-optical emission spectrometric detection. Analytica Chimica Acta 787:78– 86. Joseph Nyingi Kamau, Jane Catherine Ngila, Andrew Kindness and Tamara Bush 2012. Investigating the pathway and fate of inorganic impurities in a bisulphate dissolving pulp production process. PhD Thesis University of KwaZulu Natal, South Africa. Kamau, J.N, Gachanja, A, Ngila, J.C., and Kazungu J., 2007. The Seasonal and Spatial Variations of labile Cu, Fe, Mn, Pb and Zn sediment fractions in Lake Naivasha, Kenya. Lakes & Reservoirs: Research and Management. 12: 303-313. Joseph Nyingi Kamau, Benard Kirui, Erick Kristensen, Stephen Mwangi, Okumu Staki., 2007. Sewage phytoremediation; an insight on the silent services offered by mangroves ecosystem in carbon and nutrients mineralization. 5th WIOMSA Scientific Symposium, Durban, South Africa from 22nd to 26th October 2007 book of abstracts. Kamau, J. N., Dehairs, F., Marteen, L. and Kazungu, J.2006. Sediment-water Exchange of Selected Heavy Metals at the backwaters of Makupa Creek, Kenya. Western Indian Ocean J. Mar. Sci. Vol. 5, No. 1, pp. 153–162. Kamau, J. N., Dehairs, F., Marteen, L. and Kazungu, J.2005. Anthropogenic influence on the mobilization of heavy metals at the back waters of Makupa creek. Conference proceedings Pacem in Maribus Conference Oct. 31-Nov. 3rd 2005, Australia, pp. 96-106. Munga D. and Kamau J. 2005. Status of Marine Pollution Monitoring in Kenya. Regional Workshop on Ecotoxicology Monitoring and Control, Zanzibar February 2005. 40p. Kamau, J.N. 2005. Effect of Seasonal Physicochemical Variation on Metal Speciation, Implication on Water Quality in Lake Naivasha, Kenya. MSc Thesis Jomo Kenyatta University of Agriculture and Technology. Munga D., Kamau, J.N., Abuodha, P. & Ikubi, J.G. 2003. Concentrations of heavy metals in sediments and biota and implications of pollution of the Ungwana and Malindi Bays in Kenya. Proceedings of the Third WIOMSA Scientific Symposium, Maputo, Mozambique, 15-18 October 2003. James. Mwaluma, Melckzedeck. Osore, Joseph. Kamau and Peter. Wawiye, 2003. Composition, Abundance and seasonality of zooplankton in Mida creek, Kenya Western Indian Ocean J. Mar. Sci Vol 2 no. 2 147-155 . Kamau, J. N. (2001) Heavy metals distribution in sediments along Makupa and Kilindini creeks. Hydrobiologia, 458: 235-240. Kamau, J.N. (2000). Killindini creek a pollutant sink or pathway. Symposium proceedings, 2nd open water science Joint Global Ocean Flux Studies (JGOFS) Bergen, Norway. Kamau J. N 1999. Proceedings of the 3rd International symposium on Environmental Geochemistry in Tropical Countries in Nova Friburgo, Rio de Janeiro, Brazil 25th to 29th Oct 1999. Kamau J. N., (1998). Pollution dynamics and trace metal levels at Makupa creek Kenya. Book of extended abstracts; International symposium on Marine Pollution; Monaco 5th to 9th Oct 1998.